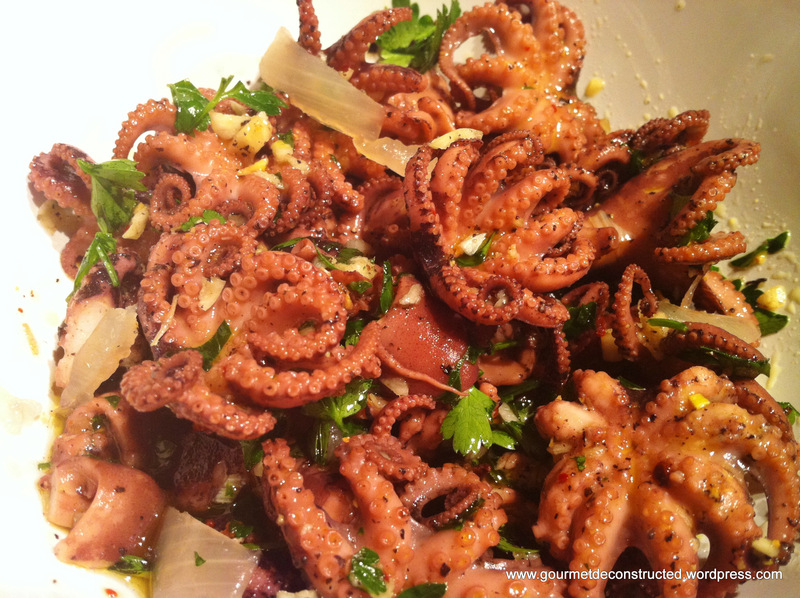 Posted on February 8, 2012, in Seafood and tagged baby octopus, garlic dressing, octopus, pulpo, seafood, spicy seafood. Bookmark the permalink. 6 Comments. I would take out the red pepper flakes since I don’t like spicy foods… I will def try this one though! Hey, thank you for visiting:) I should have made them optional, it will be good either way though. That looks awesome. Your presentation is so inviting. Thanks for the recipe…have to give this one a try soon. Thank you Lucy,nice to meet you, Welcome to my wonderful world of food!